Festivals are a major factor in the Nigerian tourism industry apart from their cultural significance. Over the years, many festivals in Nigeria have evolved into international dimensions. Visitors come from wide and near just to witness the activities associated with a particular festival. Some selected festivals are discussed in the following write up. One of the major festivals celebrated in Nigeria is the Argungu International Fishing Festival of the people of Kebbi State in North-Western Nigeria and which takes place near the Mmatan Fada River. This annual festival is usually celebrated in the later part of February into early March. It is celebrated for four straight days. Some of the activities engaged in include hand-fishing, canoe racing, wrestling and boxing. One major reason for the festival is to contribute to peace between the Argungu and neighbouring communities of Sokoto. Another reason is to maintain the quality of the water and ensure the fish stock is not depleted. One advantage of the festival is that it helps to transfer unique fishing techniques to the younger generations. The Oshogbo International Festival was first celebrated as a local festival dating back about six hundred years. The people of Osun, in the South-Western area of Nigeria, have been celebrating this festival since 1370. The foundation of this festival is the ancient relationship between the River Goddess and the first chief of the town called Oba (Chief) Gbadewolu Laroye. Currently, the festival has assumed an international proportion with visitors coming from both outside the state of Osun, where the festival takes place and also from outside Nigeria. The festival is based on the belief that Oshogbo town was founded by the Osun river goddess that is why the Osun Oshogbo festival must be celebrated to honour the goddess. In the month of August every year, the people gather at the sacred groove of the goddess to partake in the activities or to just observe and admire the traditions of the people. In recent times, the festival is attended by tens of thousands of devotees, well-wishers and tourists. The New Yam Festival is another major festival that is celebrated in Nigeria. This time, it is celebrated by the Igbo ethnic group. The festival is usually celebrated at the end of the rainy season of every year; this is mostly in the early parts of the month of August. Typically, the festival marks the end of one season and the beginning of another one. The underlying elements in the festivities show the prominence that is given to the yam crop in the social and cultural lives of the people. The festival is marked by ritual cleansing of the people to prepare them for the new yam. This festival attracts a large group of people from all walks of life and from different parts of Nigeria and the world. It has also become a significant schedule on the tourism calendar of the people of Nigeria. 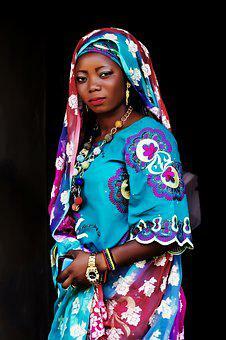 The Shao mass wedding is organized annually by the Shao community of Moro Local Government Area in Kwara State. On this occasion, every girl who has reached the marriageable age by traditional standards and has gotten a suitor is married off. 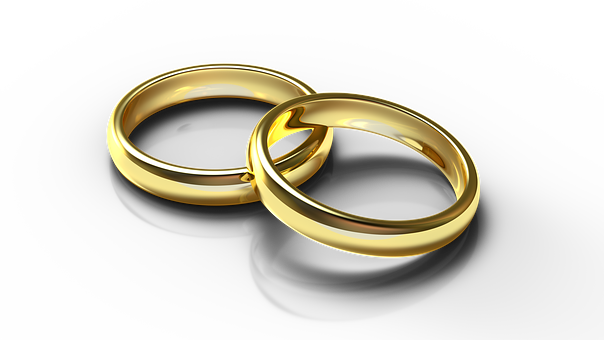 Marriage ceremonies are restricted to this time of the year alone. The uniqueness of this marriage festival has attracted international attention and many tourists come every year to witness the ceremony. Its full potentials are waiting to be tapped by the people of the community and the State’s Tourism Board. The Sharo (flogging) Festival is a rite of passage where male adolescents of the community are accepted into adulthood. The ceremony is common among the Fulani community in West Africa. In Nigeria, one of the most prominent Sharo Festivals is the one celebrated by the Fulfulde-speaking nomads. One activity associated with the festival is the flogging of young men by other young men who challenge each other to a contest. At this ceremony, the endurance levels of the young men are tested to highest point of elasticity. The festival is celebrated biannually; the first one during the harvesting of guinea corn and the second one is celebrated during the Muslim festival of Id-el-Karbir. Usually, after this festival, the young men are accepted as adult members of the society and can therefore assume adult roles such as getting married. Fare wrestling is a common phenomenon in many Nigerian communities. It dates back to pre-colonial times and some communities have kept the practice going and have turned it into great annual tourist destinations. One of these many fare wrestling festivals is the Kokowa Wrestling Festival in Zamfara State. The festival takes place mostly in the dry season when there is less farm work. At this wrestling festival, young men gather at the village square to exhibit their skills and supremacy in wrestling matches. The winners of wrestling matches are handsomely rewarded and are accorded much respect in the village, especially among their peer groups. Another one is the Anioma Cultural Festival in Delta State. It is an annual event which is organized by the Organization for the Advancement of Anioma Culture (OFAAC). The festival involves drumming and dancing in addition to wrestling contests. 1. a. What is a festival? b. Identify and highlight five festivals in your country.